World Nursing Forum : Vydya Health - Find Providers, Products. 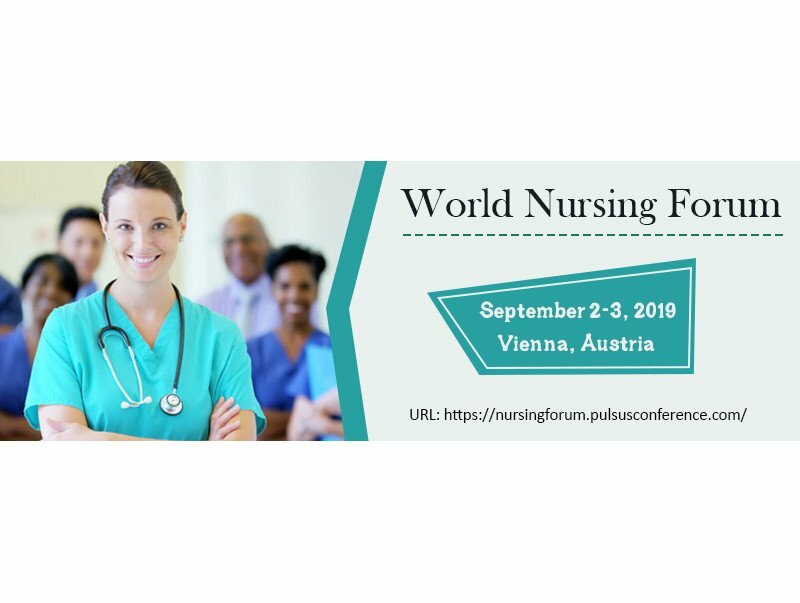 The conference committee of Nursing Forum 2019 takes immense pleasure in inviting you to attend World Nursing Forum during September 2-3, 2019 at Vienna, Austria. This comprises of proficient keynote presentations, verbal speeches, productive poster presentations and exhibitions providing insights to the importance and efficiency of nursing in Healthcare. Nursing Forum 2019 Conference highlights the theme Endorsing the Foremost Folio of Nurses at Nursing Forum is an event intended to provide an exclusive platform for new researchers, scholars, nurses, surgeons, physicians, students and educators to show case their novel ideas and discuss the most recent innovations, trends and key concerns adopted in the field of nursing and health care. The two days of educational program will include keynote presentations, oral presentations, and poster presenters on the advanced techniques as well as papers in all the fields of nursing in health care. Nursing Forum 2019 Conference aims to explore advances in nursing practice, management and education in relation to health disparities as well as a breadth of other topics. Nursing Forum 2019 will provide an opportunity for nursing practitioners and educators to exchange research evidence, models of best practice and innovative ideas. It is a platform for nursing students, faculty, deans, researchers, and leaders to collaborate on topics affecting nursing education.